This past weekend I made a trip into Philadelphia for the first time, a 200+ mile distance there and back for me. My routine for long trips and new destinations is to use Google Maps to plan out my route, and have my GPS on as a supplementary guide. I’ve always been one to tinker, and when I realized I needed to update the little car image to better suit my new car, they don’t have one that looks quite right. Then I started thinking like a gamer. Why not F-Zero? The 2D games have about the same perspective. They’ll fit great! Though my car can’t reach speeds over 1000kph like the games, I can make my TomTom pretend at least. You can view the original instructions in TomTom’s Create Your Own Content Guide. 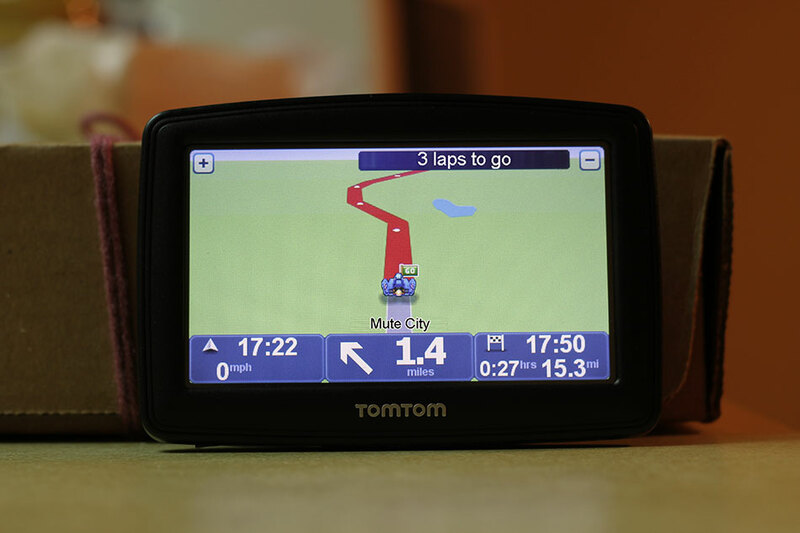 TomTom devices take the BMP-24 format, 80x80px, with (255,0,0) as transparency. For best visibility, outline your car symbol with both a light and dark 1px stroke, and make sure it doesn’t anti-alias. I pulled the sprites of the cars from F-Zero: GP Legend using Visual Boy Advance. I’ll make the effort to offer the download if I get a legitimate comment asking for them!